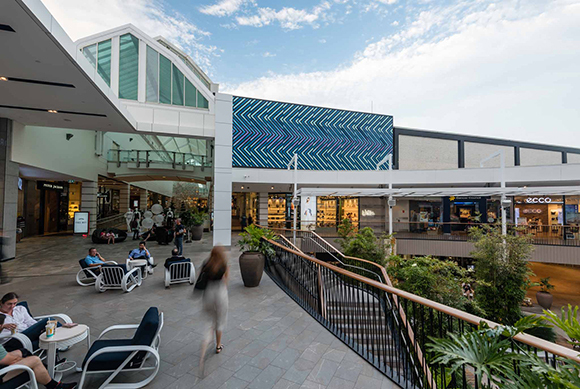 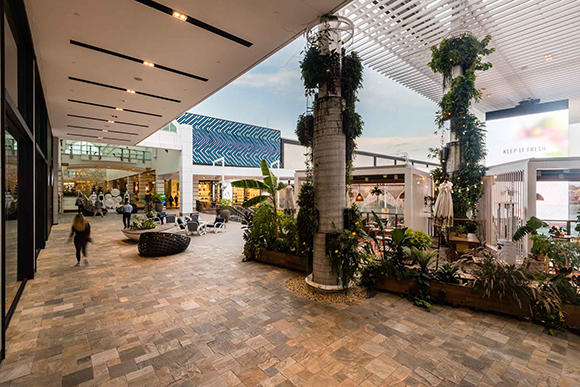 We unveiled a significant piece of permanent public art at Westfield’s newly redeveloped Westfield Warringah Mall, in another successful example of how art and business – two seemingly disparate entities – can in fact assimilate to reflect parallel notions. 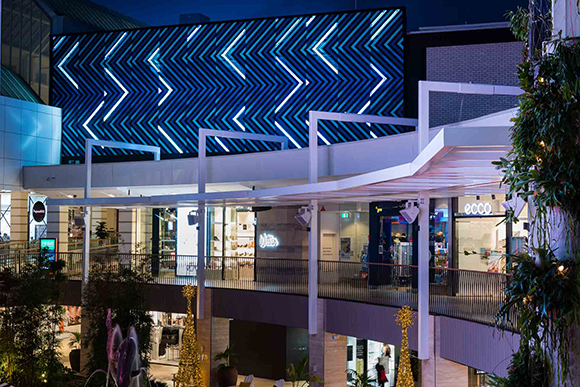 Entitled ‘Signs of Rain’, the energetic large-scale installation is the work of renowned Melbourne contemporary artist Reko Rennie, who has designed his mural to be viewed both day and night. 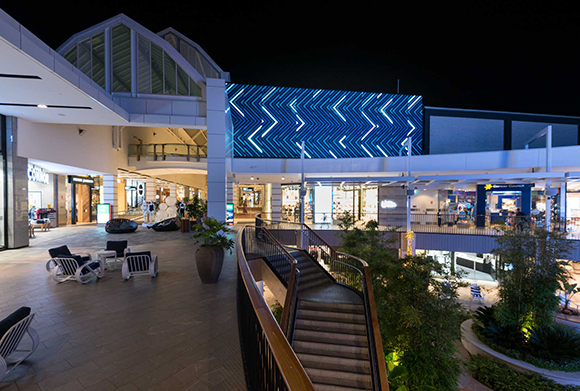 During daylight hours, the bold painted hues provide a dynamic visual backdrop for visitors to the northern beaches suburb of Brookvale, but as dusk falls, the artwork takes on another life, being lit by carefully placed LED lights. 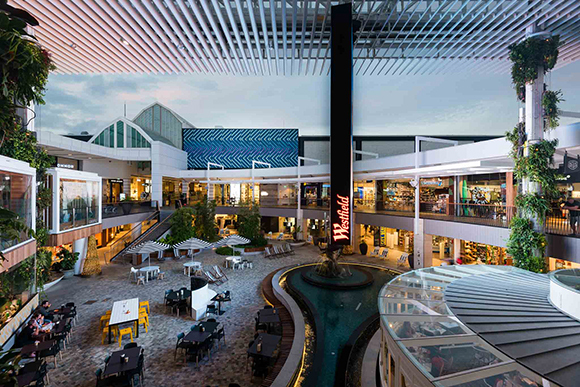 Scentre Group (the owners of Westfield Shopping Centres in Australia and New Zealand) chose to once again team up with leading creative peacemakers Wiltshire + Dimas, in the implementation of public art in their shopping centres. 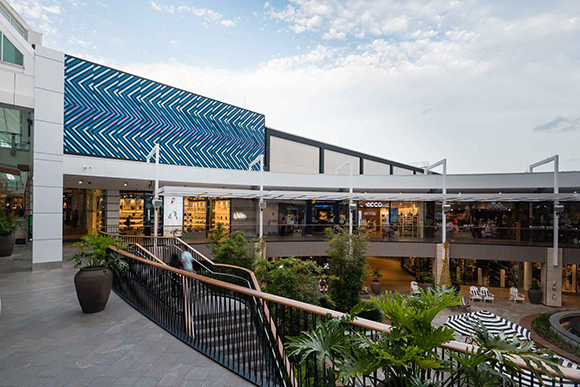 ‘Signs of Rain’ follows the success of the Westfield Chatswood redevelopment in 2015, when Wiltshire + Dimas delivered all the public art elements for the complex by engaging artists Beastman, Nanami Cowdroy, Anthony Lister and Gemma O’Brien. 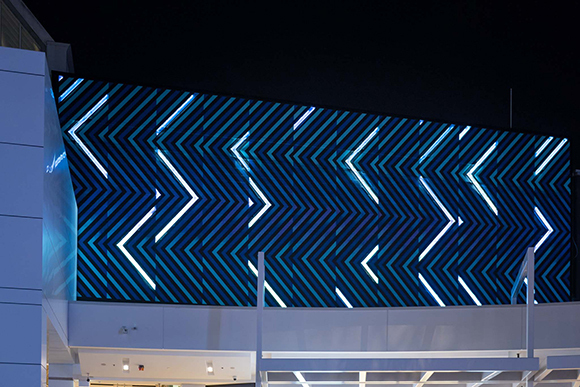 This arts initiative was curated and produced by aMBUSH Gallery, an initiative of Wiltshire + Dimas Management. 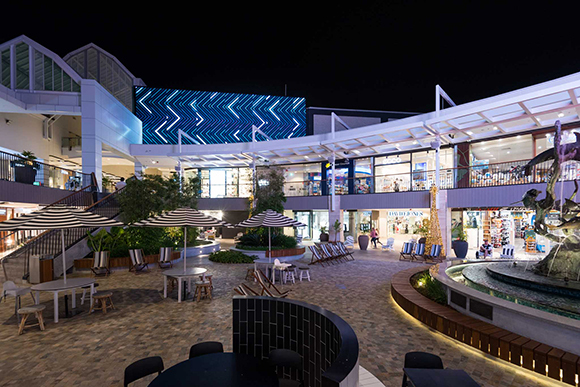 ‘Signs of Rain’ launched at the opening of the new Westfield Warringah Mall on 17 November 2016.